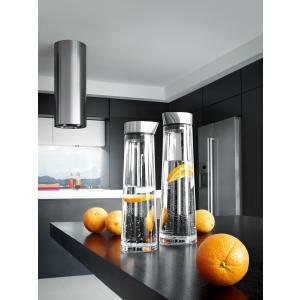 The Aqua carafe features a striking elegance and functionality. 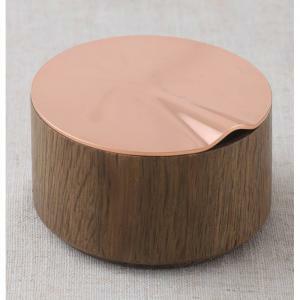 The stainless steel lid is easily removable while the silicone gasket assures a firm fit. 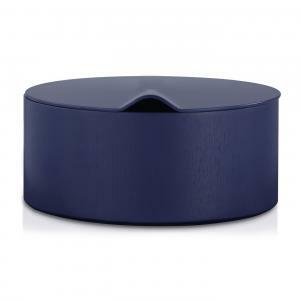 The solid, double-walled base gives it the needed stability. 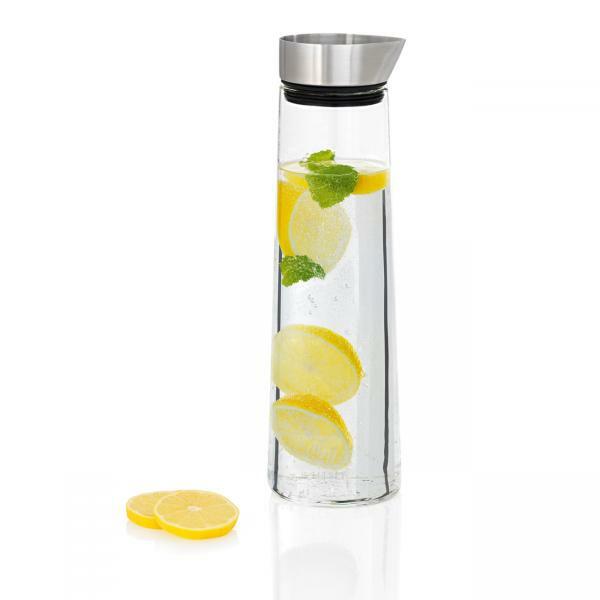 The large opening of the carafe allows easy filling and cleaning so that refreshing compliments such as lime or lemon and ice cubes can easily be added. The lid is designed to hold back any of these additions while pouring so only the water, iced tea or any other beverage will be poured into the glass. 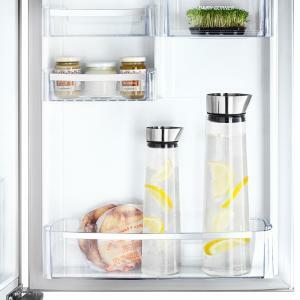 It is also designed to fit into a standard refrigerator door. L 3.5" x W 3.5'' x H 11.8"